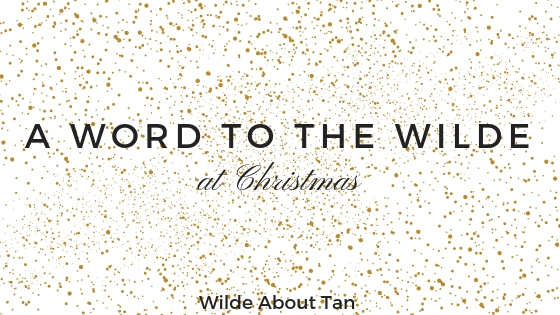 I’m not sure about you, but we’re a little bit in shock here at Wilde About Tan HQ how fast Christmas has creeped up on us! The team’s diaries are all booked up with those festive tans, and it’s likely I will still be purchasing Christmas gifts for friends and family on Christmas Eve, sorry to all those whom this might adversely affect! Everything looks better with a Wilde tan dontcha know. Dresses, playsuits, trouser suits, you sitting on the couch eating chocs. It is what it is, you look fabulous! It’s a time for giving – but that doesn’t have to be by spending money or buying gifts. Giving your time, give kindness, give hugs and love. At the end of the day, that’s far more valuable than any present. Look after yourself! December can be complete madness, in majority of cases, you might not eat properly or rest properly. Don’t leave it till January to start thinking about a happier, healthier you. There’s no time like the ‘now’. Give yourself a break, take some time out to just ‘be’ and don’t be so hard on yourself to be Insta perfect. Talking about Instagram, you know it isn’t real life don’t you? It’s a tiny snap shot, most likely filtered and staged the hell out of. Even if someone looks like they are having the time of their life, they may still need a friend. Also, comparing yourself to others in any way just isn’t the one. Wilde About Tan HQ can guarantee you that almost everyone tends to want to be slightly different in some way, but we can reliably inform you, YOU ARE ALL JUST BLOODY BEAUTIFUL!! If you are buying pressies and gifts this year, please don’t forget to purchase from local retailers and the self-employed. These amazing hard working wonders really REALLY appreciate every single penny you spend with them. Pat yourself on your back if you have already done this. 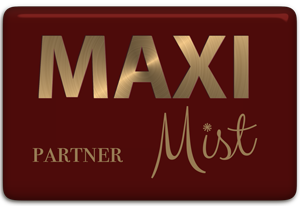 Also, if you know a tan-o-holic and are struggling for a gift, consider our one off VIP Membership to make them all bronzed and smiley for any month in 2019 they fancy getting their glow on! Have you heard that Wilde About Tan is bringing Xmas early to you? Snap up your FREE £5 Gift Voucher to be used in January 2019. Your future you will thank you for being such a smart wee xmas cookie. Be uber intelligent and book your January appointment now though because you will be surprised how busy we get in Jan! Hope the above helped or at least passed the time whilst you ate that last cheeky mince pie, yeah, we saw you. Good work guys! Finally, Merry Christmas and a Happy New Year you Wilde ones, we absolutely adore you all. Your bookings, messages of support, reviews, referrals and general loveliness literally helps make this job the best we could ever imagine.